X-ray tool - A Mobile application that will allow measurement of angles, lengthes correction od contrast brighteness and also writing text on the x rays . 3. Courses: Research Methodology courses are being organised to Educate. 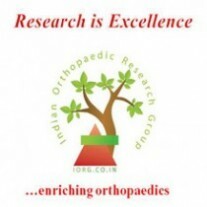 Orthopaedic Research Clubs have started to function in two cities in India and soon will spread to other regions.